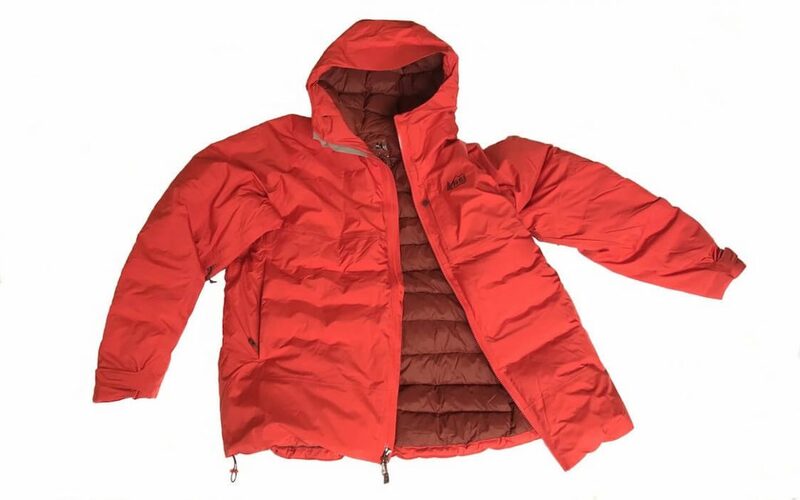 The REI Co-op Stormhenge 850 Down Jacket is more coat or parka-like than lightweight jacket. It’s super warm, but it also includes well-designed features like pit zips that let you dump excess heat when you’re working hard outside in the cold. The high-quality 850 fill power down is excellent, but what makes the Stormhenge stand out is its waterproof shell. When snow turns to sleet, you don’t have to run back to your cabin, lodge or vehicle. Read the full Stormhenge review at Man Makes Fire or see it listed in the Man Makes Fire guide to the best down jackets.